I received this ARC from @kidlitexchange to read in exchange for an honest review. Thank you for sharing. All opinions are my own. 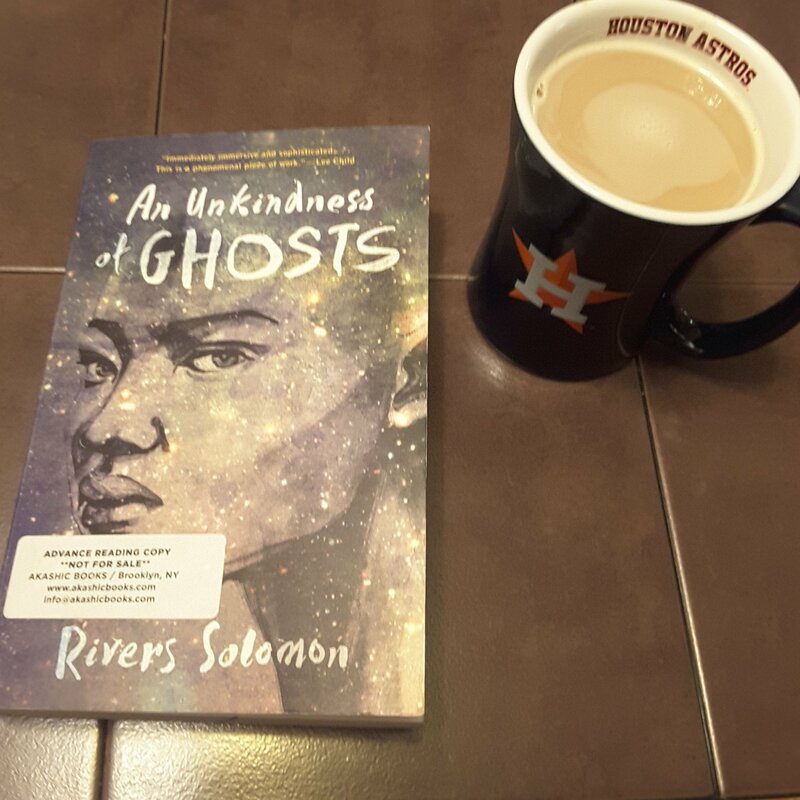 An Unkindness of Ghosts by Rivers Solomon. 🌟🌟🌟🌟The cover is BEAUTIFUL and the writing does not disappoint! Aster, the orphan of a suicidal mother, lives on a spaceship of sorts. On this ship the people have lived 300 years in search of the Heavens. The ship has a poor governing system known as the sovereign. There are blackouts and illnesses to the lowerdecks while the upperdecks live life peacefully and uninterrupted. The laws are ruthless and become worse after the death of the Sovereign King. Aster joining with her Surgeon and rebel friend Giselle set to unlocking her mother’s code written 25 years ago. When they finally have it figured out, the laws are even more ruthless leading to death and inciting a riot before Aster does the most unthinkable thing with the aid of her friends and a strange goodbye. This book is written for mature readers. Review also posted on Instagram @jasonnstacie, Goodreads/StacieBoren, and Library Thing.